Before you build a brand, startup entrepreneurs have to build a business model. I recently spoke to 2 different startup entrepreneurs who explained to me that each had “a brand that needed protecting.” To each, this meant that they intended to focus their sales and marketing efforts on customers who fit image they saw as befitting their respective products. While I was intrigued by the products and the amount of work each had done to date, I am afraid to say that if these entrepreneurs stay with their present mindset that only certain customers are desirable, each will fail. Full stop. For one of these entrepreneurs whose product had already launched, brand protection meant that he was trying to dissuade “undesirable” customers: apparently truck drivers LOVED his product and it was flying off the shelves at C-stores in which the test launch was conducted. This entrepreneur perceived these sales as a huge problem because he saw his product as high end and “above” the truck driver market. Indeed, in its marketing collateral and packaging the product was presented as high quality and upscale. When placed in front of customers, however, it was apparent that the upscale buyer to whom the product was directed showed little interest, but that less affluent consumers—here truck drivers—found the product desirable, likely for its aspirational aspects. Lean Startup Methodology teaches us that startups are not little versions of big companies. Lean Startup also informs us that unless and until we have recurring revenue that results in satisfactory profit margins, a startup actually does not exist as a company. As these fundamental concepts are applied to the startups discussed in this post, no brand exists for them to protect. Certainly, it makes sense for big companies to strive diligently to protect their brands because these established ventures possess business models where value capture requires maintenance of the brand. Without such diligent efforts, the value of the brand would decrease along with revenue. However, these established companies did not create their brand equity out of thin air; the brand and its attendant value was established over time and as a result of one or more customer segments finding the product and its presentation desirable. For startup companies, a brand identity cannot exist until there is a recurring customer having a set of definable—and brandable—characteristics. 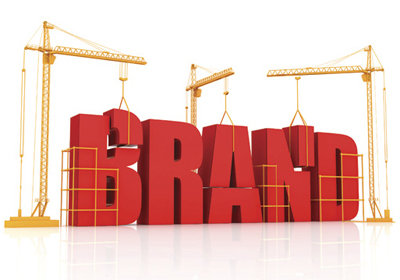 An entrepreneur cannot wish a brand worthy of protection into existence any more than a large company’s initial brand was created out of thin air. In my story of the first company above, the most likely customer appears to be truck drivers who aspire to products that the intended affluent customer finds “ho hum.” There is a nascent brand identity developing and the CEO should be absolutely thrilled that a group of customers is willing and able to spend money on her product. Their money is as green as everyone else’s. And they’re spending it on his product. This revenue serves to validate the business model and if the entrepreneur rejects them, he is rejecting a validated business model. If he keeps seeking the validation only of customers that he finds desirable, he destined to fail. Even worse: an entrepreneur or company that is not so choosy will swoop in to collect the money from the first entrepreneur’s market validation efforts. The good news is that the cash provided by the “undesirable” customer could be used for product extensions where the appropriate market research can be conducted to allow capture of additional customer types for different product versions. Such market research is how big companies do it, though. And, they can do this because they have recurring revenue and resources that allow them to do so. That’s what makes them real companies and this is what makes startups different. For the second entrepreneur mentioned above who also seeks to limit sales to a specific demographic for which there are relatively few members, she needs to be satisfied as CEO of a “lifestyle business.” A lifestyle business is one where reasonable profits over the long term can be obtained, but one in which revenue growth through scale is not generally possible. There’s nothing inherently wrong with maintaining a lifestyle business: millions have been made in such businesses. However, it is unlikely that a lifestyle business will be able to obtain substantial funding beyond that possible through loans and support from those in personal networks. Fortunately for this second entrepreneur, her business can be started effectively using her personal funds and the limited scale possible in the business can be achieved through bootstrapping and investment will not be necessary. While it is likely that she could go down-market and generate sales from a less affluent consumer, she chooses to maintain exclusivity. As a result, she will remain a brand-focused, but limited, food company for the long term. For startup companies, the takeaway should be that there is no brand until there is a definable customer who validates your business model. As I have written about with regard to patents, protection of this brand will be key to capturing the value of that validated business model. Any attempts to identify and protect that brand in advance of customer support will set the entrepreneur up for failure. In short, entrepreneurs who seek to generate revenue from a branded product cannot do so unless and until they have built a business model.